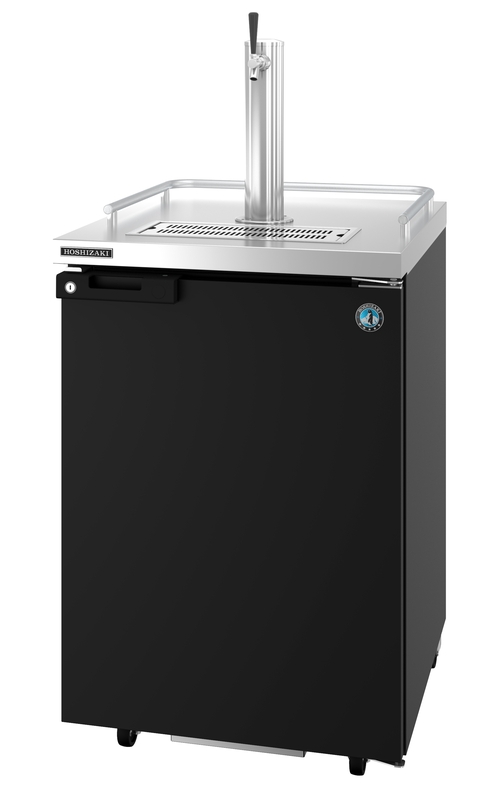 The HDD-1-24 Back Bar Direct Draw is a Single Section Refrigerator with a Solid Door is the perfect portable kegreator for any operation. It boasts an impressive Net capacity of 7.46 cubic feet. 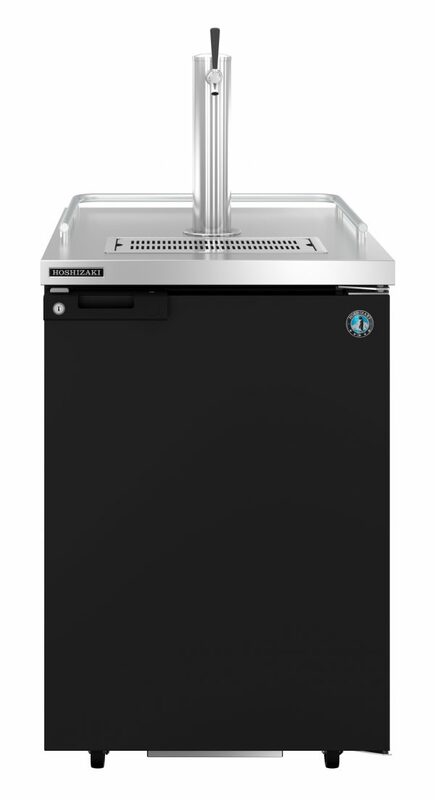 The durable 1/6 HP motor that powers the compressor in the back of this unit ensures a free flowing air system throughout the cabinet and keeps the keg(s) cold. 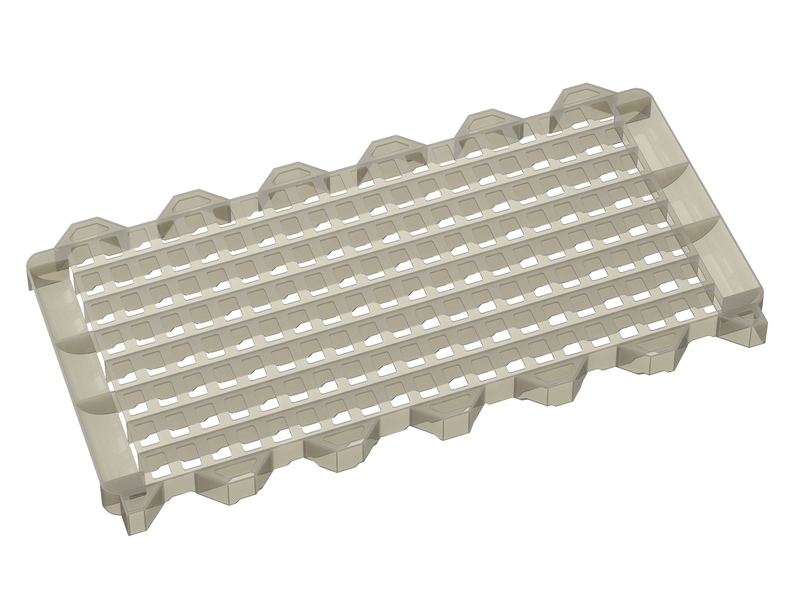 It’s Engineered to maintain food safe temperatures in 100°F+ kitchens. Plus the Lockable swing door is insulated with environmentally friendly, CFC free foamed in place polyurethane. The durable Stainless steel interior with reinforced threshold protects cabinet from loading/unloading keg damage. While the Black Vinyl exterior front, sides and rear, plus a 18 gauge stainless steel top includes a Brushed aluminum glass rail for mug storage on top! 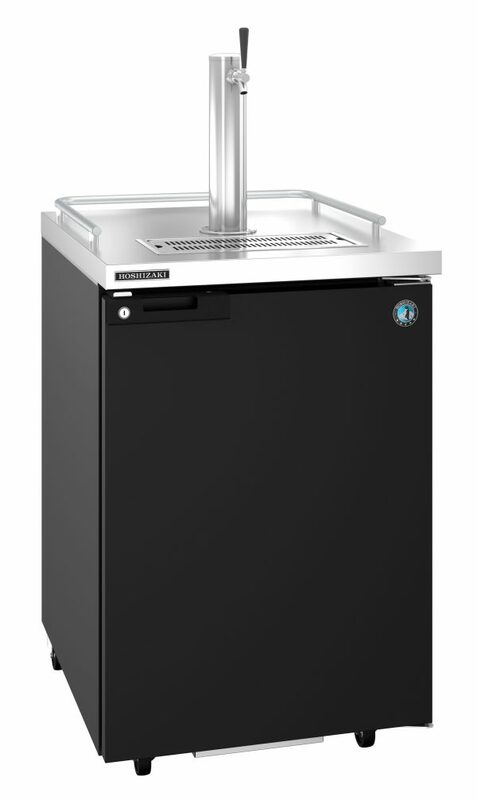 The HDD-1-24 Includes 1 keg cushion, and comes Standard with (4) 4″ Casters (front 2 with brakes), it features (1) polished stainless steel insulated tower with (1) plated brass faucet. Optional kits: (-S) stainless steel exterior – Made to Order. Cabinet fits: (1) 1/2 barrel, or (1) 1/4 barrel, or (2) slim 1/4 barrels, or (4) 1/6 barrels. The unit is ETL Sanitation Listed, ETL Safety (US & C) Listed and includes a Five Years compressor warranty / Three Years parts and labor warranty.